Families searching for an alternative to wood should definitely look at our selection of laminate floors. Laminate floors offer an easy-to-clean finish, high resistance to scratching and are less expensive than most real wood floors. The top wear layer is incredibly durable and easy to care for making it perfect for busy families and pet owners. With our great selection of laminated wood for you to choose from, Badgerland Flooring of SW WI, LLC can accentuate any formal, traditional, modern, contemporary, or country home décor. Contact us today to speak with one of our sales associates. No idea what image I picked. Badgerland Flooring is Richland Center’s premier flooring company with over 40 years of installation experience. We are located in Southwest Wisconsin serving the communities of Richland Center, Lone Rock, Spring Green, Muscoda, Hillsboro, Viroqua, Boscobel and more. 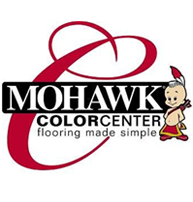 As your exclusive Mohawk ColorCenter dealer we are confident in our ability to help you choose the perfect flooring that creates just the right ambiance in your home. Stop in, check out our extensive line of flooring opportunities, and allow our highly trained staff to help you realize your decorating dreams. Transformation starts with the floor! New in 2018 we are offering Cabinets and Countertops! Let us help make your kitchen and bath remodel a delightful and seamless experience! Copyright ©2019 Badgerland Flooring. All Rights Reserved.